MiddleMe have be award by a gracious reader, Robert (Blackhorn 33)! This award recognizes bloggers who have less than 200 followers. (I shall be committed that I will never receive this award – so spread my link around so as to achieve 201 followers – Haha!) 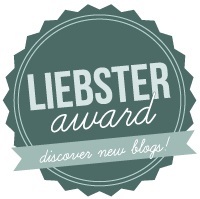 This blog award is all about spreading the love and showing that you appreciate other blogs! Most importantly, this award shows that I need to carry on my reading and never ever give up, just because I have friends like you. I am very blessed and honoured to receive this award with both my heart and my soul. Thank you! Thank you! Thank you! 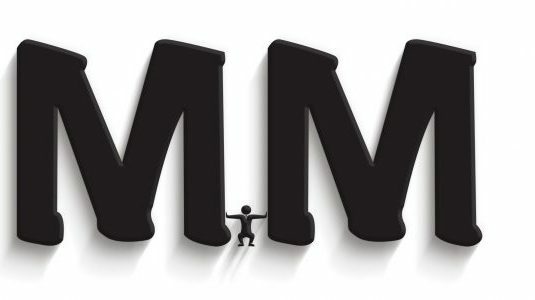 First of all, please do visit Not in My World!, I think it is an important site to educate and spread word around on child abuse. Children are innocent and should never subject to any form of abuse. Let’s show support to a worthy cause. Okay, I have maxed out my 10 nominations but don’t worry if you are not named, I have a few more awards coming up… Yes, its been a crazy award week for me! I love you all..
1.If you had the resources, and were going to do 1 thing for someone(realistic), what would you do, and who for. One of my readers just discovered that his father is diagnosis with cancer (I will not name who to respect his privacy) but genuinely, I can feel his pain as my grandfather passed on due to lung cancer and Alzheimer’s 6 years ago. Its a scary thought to see your loved one slipping away. So if I have the means, I would make sure that he have all the best medical help within reach and whatever he wants, he gets. I remembered I was 24, maybe 25. One of my ex-boyfriend introduce me to blogging, for he said I have a lot of angst I need to get off my chest and write about it instead of venting on him. Haha! I think that blog might still be floating around somewhere. I’ll read it every now and then to give myself a laugh. 3. Have you ever posted from a restaurant? 4. Do you always leave a Tip? Depends at which county I am in. In Singapore and Malaysia, there are already service tax in the restaurants. In fact, I tried to tip a waiter in Singapore before and he returned my tip. Hmm.. That is not too difficult, the last time would be last year when I am still in Shanghai and I post out cards and letters to my loved ones. Yes, I am sentimental that way. 6. Have you ever took an on-line course, or self-educated on-line? Yes, I have. I am actually signed on to Coursera for their courses. I was doing Business Strategies midway until I needed to pause to relocate myself to Malaysia. I am planning to settle in, then pick up my course the way I left it. Change: Your Job into Career. Work into Passion. Unstuck yourself! Yes, I get inspirations all the time by talking to people around me and I’ll be itching to get home and write all about it. So now I just installed WordPress on my iPhone, that way I can write anytime and anywhere I want (except in China – hate the Firewall). If I start another blog? I don’t think I will start another one because having MiddleMe is more than enough for me. I am rather a private person so I don’t necessary will want to write and publicise what I eat or wear but I do admire bloggers who find passion in writing about good food, nice restaurant or following the latest fashion trends. Do you know fashion blogs make the most money out of writing? My lil sister. She reads everything I write. She tweets everything I tweet. She forgives me if I am on my Twitter instead of talking to her. She also forgives me that I pay more attention to my readers than her YouTube Channel. Make myself a good cup of Earl Grey tea, locked myself in the study room and turn on my magic mouse. 2. Who are your target audience and why did you choose that group as your target? 3. Tell me one thing that you love about yourself? 5. If you can be transported back to the past, what world event would you change? 7. Who is your role model and describe him or her. 8. What are your goals for your blog this year? 9. How do you motivate yourself when life hits a bump? 10. Name one law/ regulation in your country that you would like to change if you have the power to do so. 11. What define success to you? Now nominees, go and have fun with my questions! For those who I have not nominate before, watch out for my upcoming award posts! Previous articleWorking TogetherIt's 3 months old! Thank you so much. I’m on the Internet for over 20 years. I try to limit the data related to my identity. For several reasons. The most important, as municipal elected official is, before I retire completely; is to achieve with my team, a new business area of 60 hectares, of which generate 600-750 jobs. My constant efforts over the past year. My son Nicolas who will be 29 years, INPG Engineer, single, will derive personal pride. As for people in my teams. However, you are associated, for I am pleased to recognize you on the Internet. It makes me smile when I read the articles you put online. You’re not alone, of course, I am supported by many users … This motivates me to stay focused on my goal. Kally good day. Kally, congratulations my friend. I too look forward to your posts. I also have the WordPress app on my Samsung phone and it works great. Keep up the great work and I hope that you keep posting for a long time to come. Thank you so much, my friend. I just pop by in one of your other blog. Fantastic work there too!! Most welcome!! Glad I can make you smile! Haha.. Then it’s great to have you here. Can’t wait to see your blog grow! Congratulations on the award! Well deserved 🙂 And what honest responses to the questions. I have heard of Coursera but like you, never tried it. I heard that you can learn at your own pace and the courses are pretty in-depth and covers things that you may not think of often. Like you, I’ve never blogged from a restaurant. I’ve also never blogged from my phone or an iPad. When I blog and write, I do it in front of a laptop or computer, maybe even a notebook by my side with ideas. Kally, please delete these 2, and let me start over, my mouse has a mind of it’s own this morning. Kally, you have a Heart of Gold, yet you retain your business sense. I will always feel Blessed that Our pathways through this life intersected, even if only for a short time. I could not avoid reading each comment, and I wish to say that you have made very good friends. At the end of the day, I don’t believe as some say, that the winner has the most toys. I think that whom ever has met even a few people, and left them with a good feeling about themself, and enjoyed even a moment as a freind and neighbor, is a rich person by my way of thinking. Thank you Robert for leaving such a lovely sweet comment. This award is definitely for keeps. 🙂 have a great day and go fix your mouse! Lol! Kally, a moment to smile, and maybe laugh with a friend, makes all the days problems and sadness a little easier to deal with; and I believe by now you are aware of the weight my business puts on my heart and feelings. You are like a ray of sunshine peeking through the shop window, and you always bring a smile…. Yes, it has been awesome this week. And not forgetting you…you my friend have been awesome to me too!! Congratulations Kally, you deserve this award. And it’s great you have such a supportive and forgiving sister. Thank you!! She has always been there for me, through good and bad times. We always need these kind of people around us, don’t we? Yes, I thank my brother for sharing my blog posts on facebook too. It’s the thought that counts. Hello Kally! I’ve been having great fun on your blog. I’ve read everything on this post including the comments. Everything is beautiful. You are so loved. Congratulations on your award! You work so hard and give so much to others through your blog. This is just the beginning. You can be sure more are awards coming; and will come fast. Keep shining. LOL. Oh yes, I have been preparing all the award posts and the best part? I’m having fun with them!! That is very great. I like your spirit.